That be as it may, I thought another examination of the winning bids was warranted, taking a close look at why two bids were more successful than the four others. South Melbourne was never in the hunt. The reasons why would require an essay in its own right. Let’s just leave that one there. When these two assumptions are combined, it means it’s incorrect to look at this as if the FFA was needing to select the two best bids from the shortlist of six on offer. That is not what happened. Rather, the selection process was conducted on the basis that the FFA needed to choose one bid from the following two groups. The Sydney group: Choose between Southern Expansion and Macarthur South West. The Melbourne group: Choose between South East Melbourne or Dandenong (Team 11) and West Melbourne Group (WMG). The Southern Expansion bid had one key feature in common with Western Melbourne Group – it planned to fund its own stadium, or at least that was the stated claim early on. We didn’t hear too much more about that goal as the process went on. The bid received a lot of criticism from many quarters in regard to its intention to play out of three different home grounds. There was also a nagging doubt that the bid was more interested in getting access to Sydney real estate than creating a football club. Its other problem was that Sydney FC lobbied very hard against the admission of Southern Expansion, arguing that it impinged on what it saw as its natural constituency. Once those behind the Southern Expansion bid got the news some 30 minutes before the FFA’s press conference, all social media accounts were taken down. This was very much an all-or-nothing exercise on their part. a growing region which can be viewed as being quite separate to the rest of Sydney. The Wanderers did try to argue that this too represented their territory and, in the end, they succeeded in delaying the entry of Macarthur South West by one season. Looking at it objectively, the distance between Parramatta and Campbelltown is some 50 kilometres, so the FFA would rightly have concluded that the overlap with the Wanderers territory was minimal. In the weeks leading up to the board meeting, we heard a lot about the Team 11 bid. Melbourne’s media outlets were convinced that this would be the winning bid, and with good justification. As Vince Rugari reported in Saturday’s Age, Melbourne’s south-east has a bigger population, more grassroots participants and the likelihood of attracting greater TV ratings and attendances. 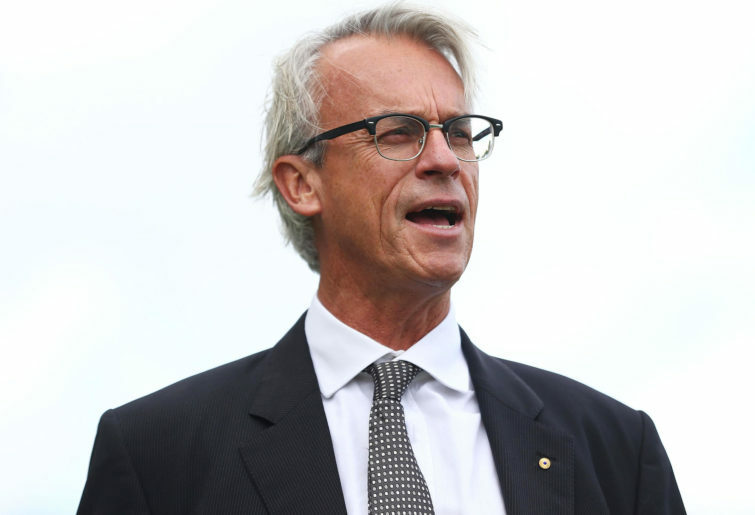 the bid had stated that the club would play out of the open, wind-swept Casey Fields, which the FFA rightly viewed as being inadequate. And so the FFA board went with the second-best option – or third best if you believe in the strength of the South Melbourne bid. 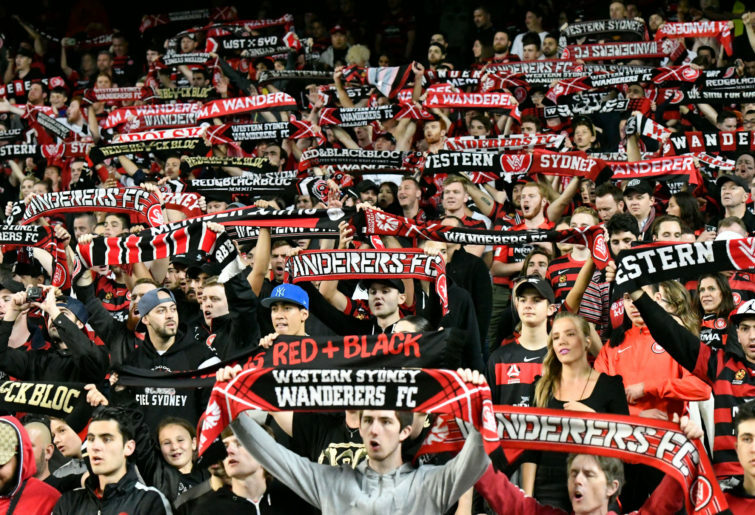 It has to be said that the winning WMG bid came with a massive upside – the promise of fully funding and building its own stadium to become the first club in the A-League to own and control its own home ground. In stark contrast to Southern Expansion, WMG had done its homework, had partnered with Wyndham City Council and had the land fully pegged out and ready to develop. However, many questions remain. In the same article mentioned above, Vince Rugari implored his readers to look up the property on Google Maps. He describes what you’ll find as “a cow paddock in the middle of nowhere”. He is right of course. The Tarneit railway station is at the very edge of the built-up area, and the location of the new stadium is over two kilometres further west in what can only be described as agricultural land. The path that has taken us here is even more interesting than the single-lane country path which currently leads to these cow paddocks and haystacks. The WMG bid started life as Victoria Patriots, with Geelong viewed as its home base. Somewhere along the line, the bid morphed into WMG, having partnered with Wyndham Council, to be located at Tarneit on the outer western fringes of metropolitan Melbourne. Michael Lynch reported in Saturday’s Age that the essence of this private-public partnership is “value capture”. The council has gifted a parcel of land to WMG not only to build the stadium but to use for commercial and residential development as well. It’s this extra development which will help WMG defray the cost of building the stadium itself, although I’ve run the numbers across a few optimistic assumptions and in all cases WMG is left with significant debt on the stadium, even after the sale of hundreds of residential dwellings. Hopefully the mysterious, anonymous financial backers have deep pockets. As far as the council is concerned, in exchange for gifting land that would otherwise have remained unused and of little commercial value, it hopes that WMG’s involvement helps lift the surrounding land values and encourages further development. In other words, when both WNG and Wyndham coin the phrase ‘growth corridor’, it’s not really referring to what it is now but rather what they hope it might become years down the track.